The New Rule of Thumb? What Would Nixon Do? It was in the steam room where men achieve greatness that my friend Geronimo said that President Obama should ask himself “What would Nixon do?” as he contemplates the fate of Gen. Stanley McChrystal. I think that’s a “spot on” idea, a capital idea, a non-pareil–and I don’t mean movie candy. I call this the WWND principle. 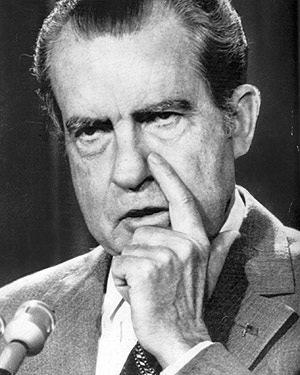 Nixon of course would call the general to the Oval Office for a bowl of cottage cheese with ketchup. Nixon was paranoid. Everybody knew that who know anything. If McChrystal served under Nixon, the “disparaging” comments would have never occurred in the first place. Nixon only allowed yes-men in his circles of power. 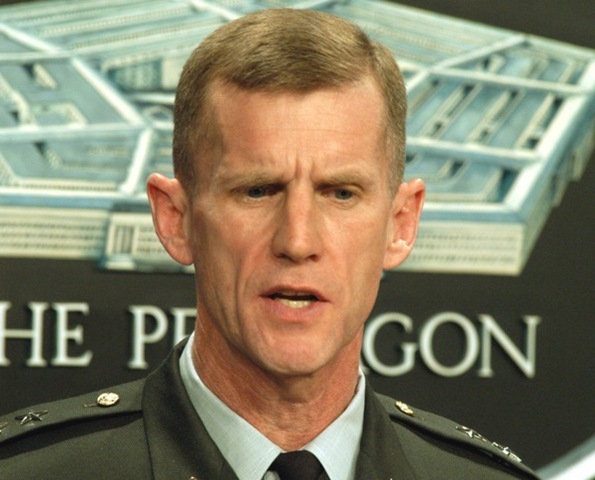 McChrystal either would have not been given the job in the first place, or he would have known far better than to shoot off his mouth to the press. So WWND doesn’t really apply in this case. If Obama REALLY believes or believed that the conflict in Afghanistan was in the USA’s best interest, I thought that he would have given it his best shot to clean it up quickly if possible, and when it proved to be another quagmire, just like ‘nam, Iraq, etc., etc., etc., then he would say so, and bail out. But, no, deep in his soul, he’s also this strange basketball-loving fool. (You know how I feel about basketball, SK.) He wants to “win”. He wants to be the prez who gets bin Laden’s head on a stick. This is what Afghanistan is truly about, which is so completely irrelevant to security issues it’s laughable. The more money we pour into silly quests like bringing bin Laden to justice, the more bin Laden wins, because we are wasting valuable resources that should be used to help Americans, rather than squandering them on our need for revenge. Thus hath the sidelines quarterback who loathes football spoken.